A one-only piece by its Les Cabinotiers department, this Phoenix testifies to Vacheron Constantin’s passion for watchmaking technique. 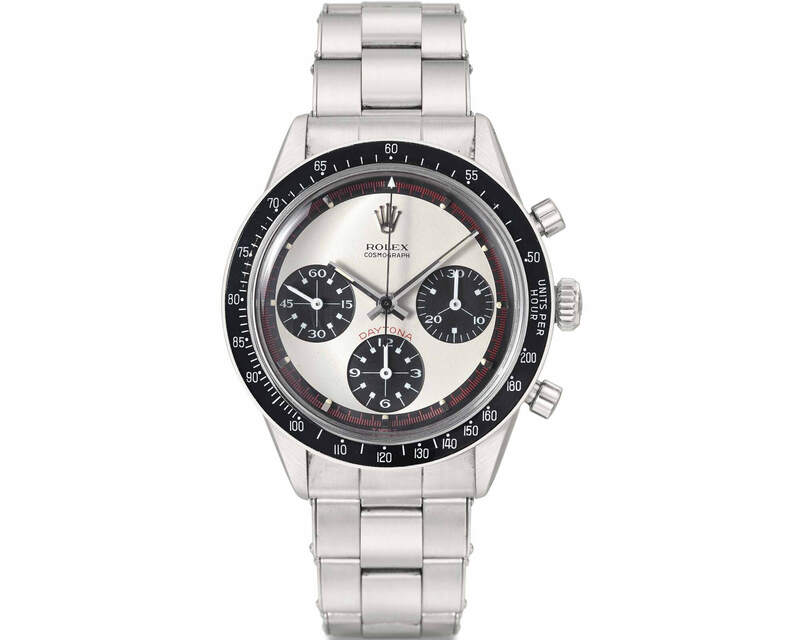 Its fifteen complications include a minute repeater, a tourbillon, a perpetual calendar and an equation of time. 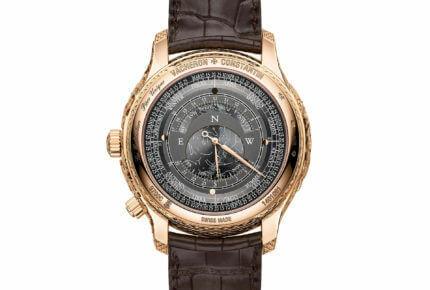 The case of this truly exceptional timepiece is ornamented with bas-relief hand-engraving. 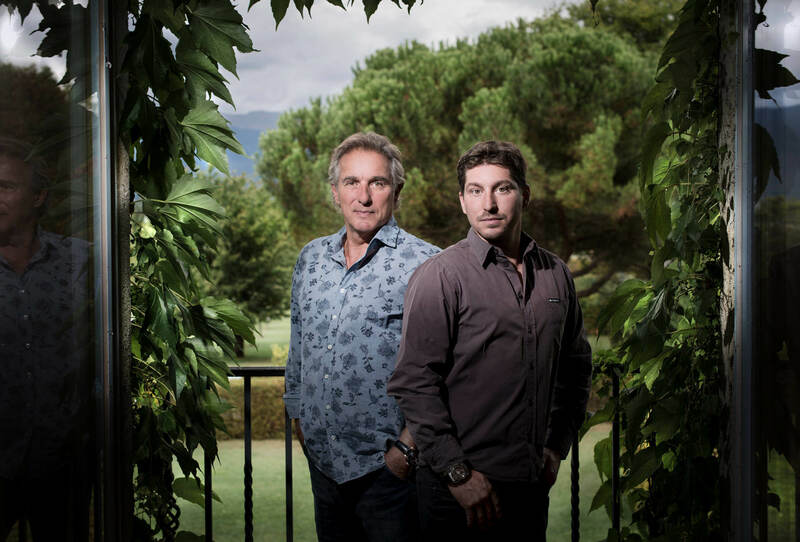 Since the 18th century, Vacheron Constantin has perpetuated the tradition of the “Cabinotiers”, the name given to the prestigious and cultivated watchmakers who worked in workshops bathed in light located on the top floors of Geneva’s buildings. The expertise of these accomplished masters was backed by vast scientific knowledge, fired by a curiosity for new ideas and nurtured by the philosophy of the Enlightenment. 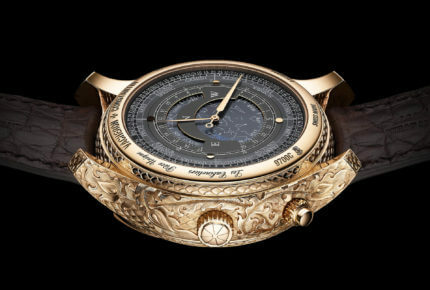 Their deft hands craft exceptional timepieces of rare technical and aesthetic complexity, inspired by astronomy, science and the arts. 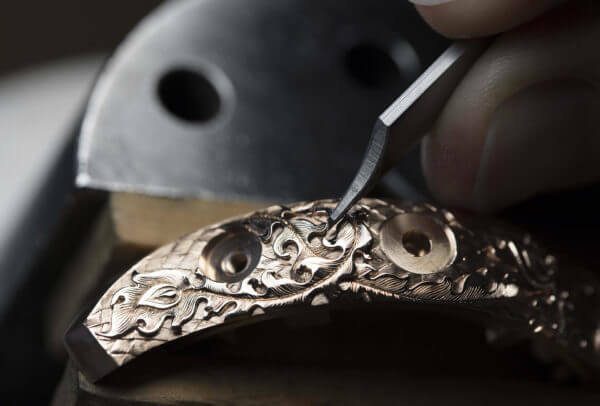 Vacheron Constantin continues to take on these highly technical and creative challenges within its Les Cabinotiers department, which gives rise to one-of-a-kind models intended for clients and collectors, along with specifically commissioned bespoke timepieces. Engineers, designers, watchmakers and craftsmen unite their imagination, expertise and passion in bringing this extremely refined watchmaking excellence to life, as is vividly testified by the new one-of-a-kind Les Cabinotiers Grande Complication Phoenix. According to the legend of the Phoenix, which arose in the East before reaching Asia, this fabled bird braved the cycle of life and death by setting itself on fire and rising from its ashes every 500 years. 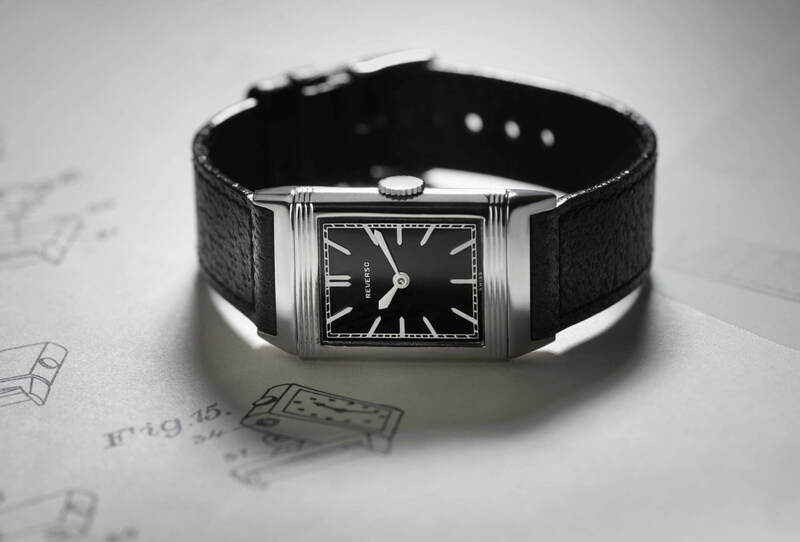 A symbol of immortality, it inspired the creators of the Les Cabinotiers Grande Complication Phœnix watch, which also defies time with its 15 complications. Visible on both sides of the watch, an array of indications – including perpetual calendar, equation of time, sunrise and sunset, sky chart, seasons, signs of the zodiac, age and phase of the moon, solstices, sidereal hours and minutes, power – endow it with nobility and prestige. 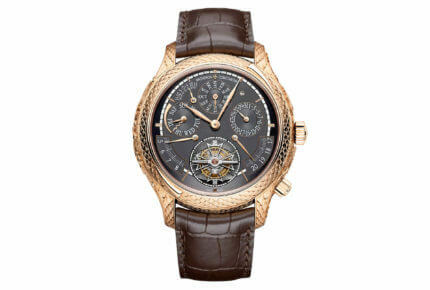 A minute repeater and a tourbillon complete this exceptional list of functions. 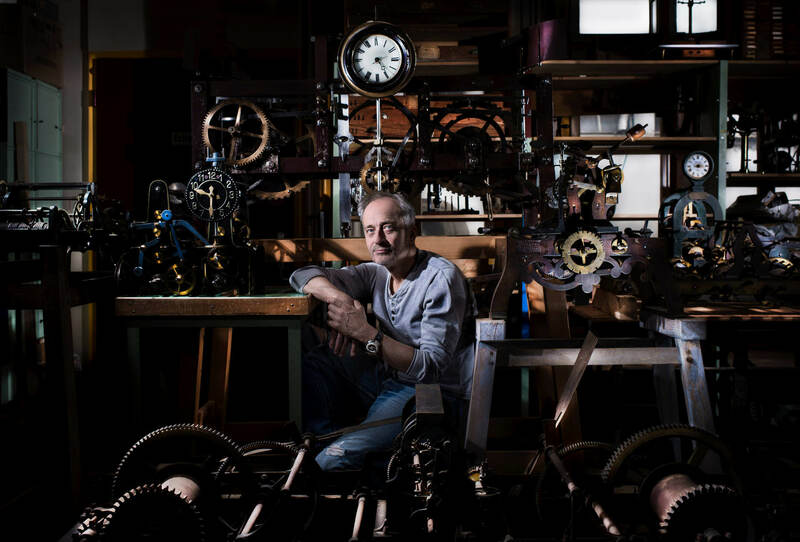 The watchmakers of the Les Cabinotiers department have succeeded in accommodating all these functions within the limited space of the case by maximum miniaturisation of all components, while preserving their reliability. The numerals and hands stand out clearly against the slate-grey colour of the two dials on either side of the watch, beautifully offsetting the pink gold case. The optimal legibility of this complex model is also ensured by the layout of the additional counters and the various time indications. Vacheron Constantin’s watchmakers have chosen the famous Calibre 2755 to drive the many functions of this extremely complicated watch. This manual-winding movement endowed with a 58-hour power reserve is dedicated to the particularly sophisticated models of the Manufacture – and notably those in the exceptional Grand Complication category to which this one-of-a-kind model belongs. 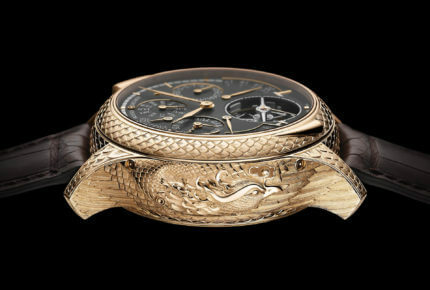 Epitomising a subtle balance between innovation and the transmission of ancestral skills, this exceptional model also pays tribute to a pair of engraving art techniques that few artisans still master: pounced ornament – or bas-relief – for the case-band; and fine line engraving for the bezel and case-back.